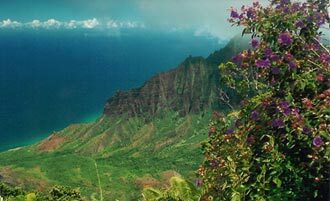 Kalalau Valley is viewable by driving to the very top of Waimea Canyon on highway 550. Maximum elevation at the top is about 5,000 feet. This valley was home to 10,000 native Hawaiians.